What an excellent, excellent night for the betting tips. We absolutely killed it at Money in the Bank, with a 5-0 night. Although like any good punter we are left with regrets – regretting that we didn’t get on the Big Show. In retrospect, we probably should have. 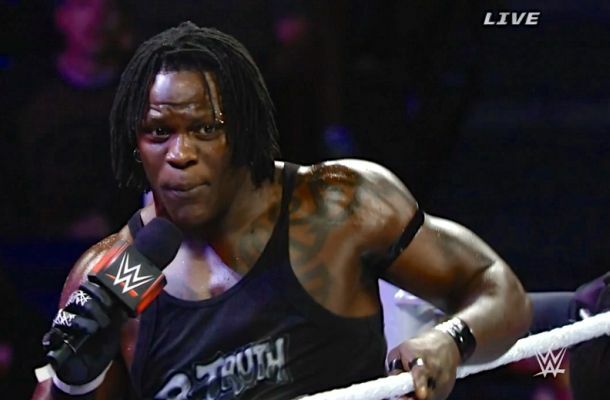 We got off to an excellent start, with our bet of R-Truth +280. Crazy that we based that bet on “R-Truth made a funny on RAW” – but that’s sometimes the logic that WWE has that you need to know if you’re going to be betting it. The first match of the actual event was Money in the Bank. We went with the Field vs Roman Reigns on that one and we might have been the only people cheering when Sheamus went up that ladder, knocked Neville off and got the briefcase. Quite the interesting decision and that was one we were worried about. That was a big cash at +355. Next up was Nikki Bella -190. Boy did we get scared when Paige pinned Brie Bella. We were sitting there swearing, thinking about what an obvious ending it was. Thankfully that was not the finish, and Nikki pinned Paige to make us 3-0 for the night. Next on the list was John Cena beating Kevin Owens. We thought a lot about this one and decided it was the best result – the money is in Cena vs Owens III. This is just your typical formulaic booking with a Cena feud – the heel going over, before Cena pounds them into oblivion. We risked WWE sticking with the standard formula and thankfully they did just that. Finally for the night we won with Prime Time Players +300. This was a SHOCKING one we must admit – we thought we might win it by countout or DQ but really did not expect to win it that way. That was a big surprise – but one we were celebrating big time. We didn’t tip Seth Rollins to beat Dean Ambrose as the odds were too high. Rollins won, but -555 odds meant that was not a play, and we are very glad we didn’t get sucked in to all the rumours about Ambrose winning and Reigns turning. We tried our best to convince ourselves to tip The Big Show to beat Ryback. For some reason we had a complete brain fart there – we knew Ryback wouldn’t drop the title, but we were trying to see if Big Show could win via DQ or countout. We somehow forgot all about The Miz and his possibility for interference. As we said at the opening – in retrospect, this was a mistake. We’ll remember that for next time. We went 5-0 for the night. Betting the max of $50 as most books allow which we use for our tally, that would be $567.50 profit. Just a pity we couldn’t add Big Show on to that. That brings our record to 83-33, total profit $5,962. It was only a couple shows ago we broke $5k and now we’re about to break $6k. SICK.